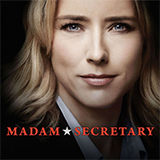 Season 5, Episode 2 of Madam Secretary was broadcast by Ten on Wednesday 24 October 2018 at 23:10. Madam Secretary is an American political drama series written for television and mainly focuses on Elizabeth McCord, the highly capable intelligent newly appointed Secretary of State for the United States of America. She is married to Henry McCord who no longer has a mother, but who comes from a large family living in Pittsburgh. Madam Secretary was co-produced by the actor Morgan Freeman, who also has a minor guest role in a few episodes. Other famous guest appearances include Madeleine Albright, the first real-life United States Secretary of State, and Bob Schieffer, a former moderator for Face the Nation. 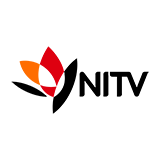 Over the years the show has received several prestigious nominations, including for the People's Choice Awards and the Publicists Guild of America.